Within a week of its release, Gully Boy has already established its cult status as the first of many in Bollywood. Inspired by the underground rap movement of Dharavi and the rags-to-riches stories of rappers Naezy and Divine, Gully Boy follows the highs and lows of aspiring artist, Ranveer Singh as Murad Ahmed. 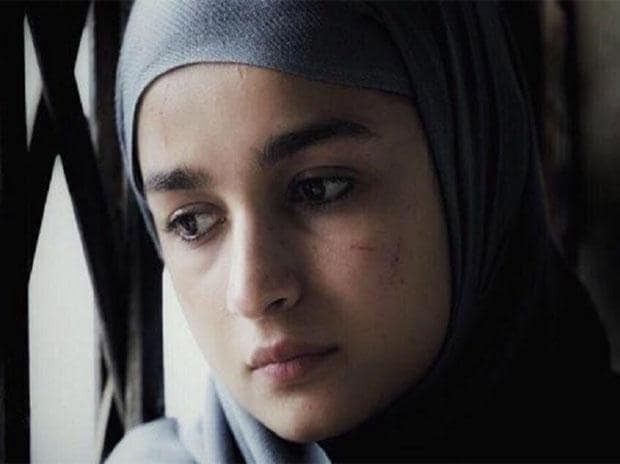 As powerful as Murad’s character is, Alia Bhatt as Safina Firdausi, who plays Murad’s love interest, comes as a breath of fresh air in Bollywood’s portrayal of Muslim women. Given Bollywood’s hit-and-miss approach to representing Muslims and Muslim women, I am excited to see a strong, bold and multidimensional character whose Muslim identity is not – as a rare instance – used to evoke emotions, to prod the storyline or to add a cultural element to the story. Neither is it exaggerated. Safina’s portrayal departs from the one-dimensional (and often negative) stereotype of Muslim women that Bollywood cannot seem to shake off, even in contemporary movies as recent as 2018. Using a tried-and-tested formula of evoking patriotic emotions, Sehmat from Raazi – despite being a fictionalised story that is based on real-life events – feels too familiar. She reminds me of Zooni Ali Beg from the 2006 release Fanaa. The same chest-thumping jingoism enforced by song and dance in the first half of the movie, and a confrontation between the protagonist and terrorist husband in the climax. I find the scene in which Sehmat visits a dargah right before poisoning her brother-in-law particularly disconcerting and unwarranted. The other extreme is an anti-national and malicious character. Again, inspired by real-life events, Haseena Parkar’s role as Dawood Ibrahim’s sister, in the film Haseena Parkar, is one-dimensional. Apart from her overnight transformation from a naïve housewife to an immoral accomplice, we know nothing about the character or motivations of Haseena Parkar. A mere burkha and a few menacing looks are enough to tell us that this woman had once terrorised Nagpada. Even though Safina can be called “terrorising” of a different kind – sending meek boys into hysterics and beating up girls who get too close to Murad – she does so with a conviction that surpasses Haseena Parkar’s opening scene that was meant to elicit fear. Neither is Safina’s hijab used as a symbol of oppression or as a prop for the story, like in Secret Superstar. Sure, she wears a hijab, but with the same ease as her headphones and jeans. When Safina marches to the tune of ‘Azadi’, when she takes the situation in her control after breaking up with Murad, when she tells Murad that he can dream and do whatever his heart desires, as she is by his side – all these show a Muslim woman (or irrespective of religion, a woman) whose empowerment and confidence speaks to me in a way that Secret Superstar and Lipstick Under My Burkha don’t. Safina also belongs to a conservative family who restrict her after-college activities and keep a close watch on her. However, I would like to believe that a Sunita from a conservative family would face the same repercussions for playing hooky and hanging out with a group of rowdy boys. Especially true for male portrayals (with skull caps and kohl-lined eyes) to denote their Muslim-ness, Bollywood is so often guilty of defining, for us, what a Muslim looks like. Similarly, Saba or Alizeh Khan from Ae Dil Hai Mushkil, come with paraphernalia like the heavy-handed use of kohl, nose pins, smouldering eyes and shayari to symbolise, supposedly, Lucknowi Muslims. Muslim women – just as any other person or community – fall on many scales of a spectrum, as complex, layered characters that cannot be represented simply by slapping on some kohl. To Bollywood’s credit, we do see representation by way of more Muslim names and characters. In recent times, a few that have gotten it right are Aafia Yusufzai Bhinder in Zero, Aarfa Hussain in Sultan and Gulrez Qadir in Dawaat-e-Ishq. Gully Boy’s story includes polygamy and domestic violence in the Muslim community, but in the same breath, it also gives us a wider range of Muslim women. With Safina, Bollywood has restored my faith in what is now, hopefully, considered the norm for mainstream Indian cinema. Even with her limited screen time, Safina shows us several nuances to her character and subsequently, normalises Muslim women in metropolitan India. A regular, college-going girl that we see in real life is on reel. It is a portrayal that I, or anyone from any community, can relate to. And that is a small yet significant step in undoing previous stereotypes. Shaistha Khan is a Middle East-based freelance writer who writes on culture and travel.